Bay Watch Resort III 1032 has a living room that opens to a private oceanfront balcony. 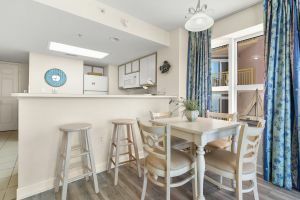 Both bedrooms of this golf condo rental feature two beds, so this rental choice is also optimal for a golf foursome during your next Myrtle Beach golf package. 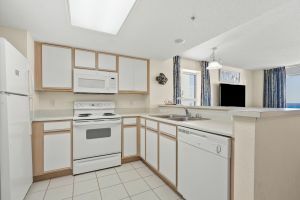 With a kitchen in this condo you can really relax when you are not on the links enjoying all that Myrtle Beach golf courses offer. 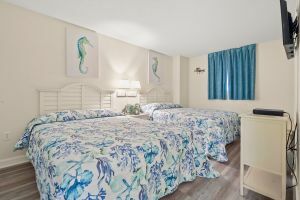 The central Crescent Beach location is perfect to keep you close to all the Myrtle Beach golf courses that you can choose to play during your Myrtle Beach golf package vacation. 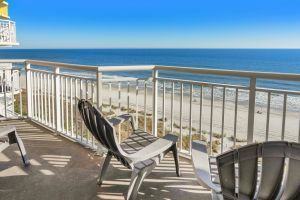 Bring your buddies, or bring your spouse and another golfing couple and enjoy the perfect golf getaway when you book your accommodations for your Myrtle Beach golf package at Bay Watch III 1032. 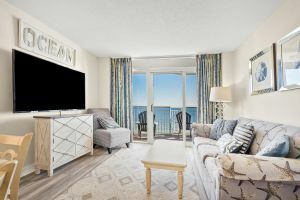 There are two baths in this oceanfront condominium as well as flatscreen CCTVs and DVD players, making you feel just like home during your Myrtle Beach golf vacation. 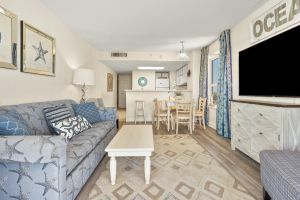 Your group of golfers can spread out and enjoy a little privacy in this golf condo that has room to relax, sleep, eat and visit. The balcony is a nice extension of the living room and overlooks a string of sundecks that feature swimming pools, hot tubs, lazy rivers and even a kiddie pool. This fantastic resort has an on-site restaurant, fitness center and more. 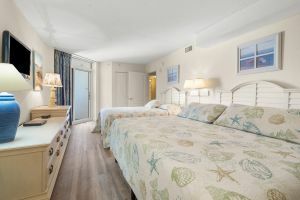 You are going to love all the conveniences at your fingertips when you are guests of Bay Watch Resort. Making Bay Watch III 1032 part of your Myrtle Beach golf package will be the beginning of a wonderful experience full of fun and memories that will last a lifetime.